Traditional elegance is brought to a whole new level with the Maddison Collection. 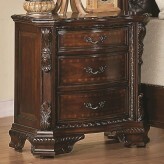 From scroll posts with ornate wood carved details this piece exudes a luxurious sense. Features full extension drawer guides, felt lined top drawers, dovetailed in front and english dovetailed in back of drawers. 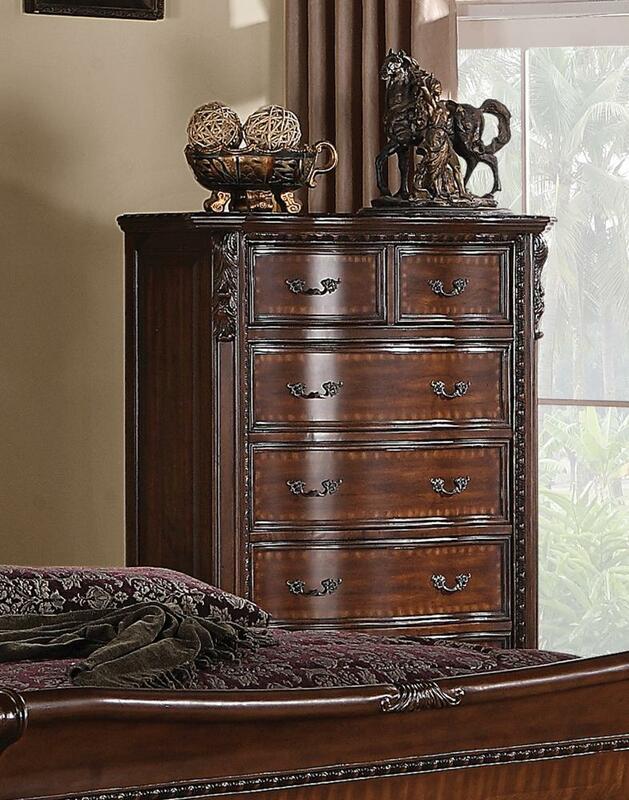 From the warm brown cherry finish to the intricate details, the Maddison Chest is sure to become a stand-out attraction in your home. 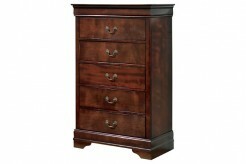 Furniture Nation is proud to offer the Maddison Chest online. We serve customers across the DFW region including Weatherford, Richardson, Denton and many more. L41.75" x D20.25" x H54"